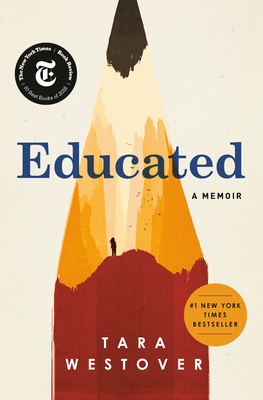 It’s impossible not to compare Educated to The Glass Castle, another great memoir about an extremely difficult and unusual childhood, in which the subject overcomes her circumstances to survive through sheer willpower, with positivity and a fortitude somehow instilled by those same privations. Yet to stop there would be doing a massive disservice to both books and the women who wrote them. Tara Westover is a miracle. Her writing is beautiful, her insights sharp and nuanced. The Idaho landscape, her survivalist family, the unbelievable trauma, the insanely irrational rules she had to live by, Westover describes what feels like another world. But Educated is truly a universal story which challenges us to examine our assumptions, to strive for the unachievable, and to be grateful for what we take for granted. Undoubtedly one of the best books of this year. Why should you read the memoir of someone you’ve never heard of? Here’s why: if it tells a difficult story without self-pity, if it’s told beautifully yet without unnecessary frills, if you learn about a person you would like to know, and if you can look at the world differently after reading it. These are all the reasons that Educated is so wonderful. Tara grows up in a fundamentalist family in Idaho, without a birth certificate or formal education because that would allow the government to know too much, according to her domineering, paranoid, probably mentally ill father. She studies the only books at home, the Bible and Mormon texts, so she can take the ACT. This cloistered girl makes it to Brigham Young University and then to Cambridge for her Master’s and PhD. Her education gives her a view of the world and a voice of her own.